Competition for your target audience’s attention has never been fiercer. You need to be creating content that attracts – and converts – your best clients. But everyone else is trying to do this too. How do you stand out? While researching the topic of content marketing earlier in 2018, I reached out to dozens of content creators and entrepreneurs to ask them how they defined epic content. One of the people I asked was Youpreneur’s founder Chris Ducker and the definition he shared with me is exactly what I’ll be showing you how to put into action throughout this article. While Chris’s definition of epic content actually contains four characteristics, I would argue that the final characteristic (highly shareable) is a natural byproduct of the first three. Content that converts is highly useful, entertaining, and inspires action so more likely to be shared than content that lacks any of these three characteristics. Now that you have a clear definition of epic content, you’ll be able to quickly gauge whether or not the content you produce is truly epic. On that note, let’s go over some specific strategies to help you create content that attracts and converts your best clients. The first step to creating content that attracts your ideal clients is to ensure the topics you cover in your content are actually relevant to that specific target audience. Your metric for success here is your content’s usefulness to your target audience. When choosing a topic to create content on, I recommend identifying one specific aspect of a larger problem that your business helps your customers solve. Focus on one specific topic, scenario, or outcome for each piece of content you create. Use a keyword research tool such as Google’s Keyword Planner or Moz Keyword Explorer to validate the demand for your topic. These tools will help you gauge how many people are actually searching for this topic online, and to identify precisely which search terms/keywords they are using to search for that topic. The title/headline you give to your content will likely be the first thing someone looks at to decide it’s worth their time continuing. Make a specific promise without giving away the solution entirely or deceiving your audience. If your headline doesn’t lure your audience by arousing their curiosity, it isn’t compelling enough. Try to come up with at least 5-10 different titles/headlines for your content, and then choose the one that is the most compelling. CoSchedule has a free Headline Analyzer Tool that you can use to help you come up with a compelling headline for your content. Depending on the type of content you’re creating (blog post, podcast episode, video, etc. ), your content creation process may vary, but my advice is still the same: cover your topic in detail. Share as much information about your topic as you can, to the extent that it is still useful and relevant to your topic. Deliver on the promise of your content’s topic/headline. Break up your main ideas/concepts using subheadings or bullet points to help your audience process your information effectively. The second key to creating epic content is to capture and hold the attention of your target audience. Your metric for success here is engagement with your content (measured by consumption time, likes, shares, and comments). Make a bold promise to your audience early in your content. This helps “hook” your audience early on and gives them a reason to continue paying attention. Tell your audience what you are going to teach them, and then transition quickly into actually teaching them. If your content doesn’t start helping your audience quickly, they will drop off and look for another piece of content that does. This video from digital marketing expert Paul Ramondo hooks his viewers by telling them exactly what they’re going to learn from his video – and he does this in the first 10 seconds. In his best-selling book Building a StoryBrand, author Donald Miller emphasizes the importance of using storytelling in your company’s marketing and communication with your customers. According to Miller, every story is about someone who is trying to solve a problem. So when you identify your customers’ problems and tell stories that articulate those problems and present solutions, your customers will recognize you as a brand that understands them. The more you tell stories that your customers can relate to, the more likely they are to engage with your content and perceive your business as a trusted resource that can help them solve a specific problems or achieve their desired result. Don’t be afraid to challenge your audience’s assumptions about your topic. If the current trend in your industry is to do things a certain way, don’t hesitate to go against the trend and recommend a different solution. Telling people what not to do is often just as valuable as telling them what to do. Show your audience that you understand what they’re going through, and that you’re well aware of the advice that they’ve probably been given about your topic. If you disagree with that advice, tell them why and recommend an alternative solution. Whether your audience adopts your recommendations or not, when you challenge their assumptions, they pay attention. Lastly, make sure your content inspires your audience to take a specific action. This action should help them implement what you’ve taught them in your content while simultaneously moving them a step forward in the buyer’s journey (and therefore, one step closer to becoming your client). Your metric for success here is the conversion rate from consumption of your content to execution of a desired action. Every piece of content you produce should always contain a clear next step (a call to action) for your audience to take. Whether it’s to subscribe to your email newsletter, download a supplementary resource, register for a webinar, sign up for a free trial, or schedule a phone call, you need to tell them what to do now. Never leave your audience wondering what they should do next. Don’t assume they will know what you want them to do. Always provide them with a clear next step to help them implement what they’ve learned, engage with your brand, or consume additional content. When you’re trying to teach someone how to do something, the most important thing you can do for them is to help them believe in their ability to do it. This concept is known as self-efficacy, which is defined as a person’s belief in their ability to succeed. If your audience doesn’t believe they can do something, it doesn’t matter how clearly you articulate the required steps to them, they won’t implement your recommendations. They need to believe that the new reality you’re promising them is possible for them. The way you do this is through social proof. Show your audience examples of other people just like them that have followed the steps you are teaching and achieved the result you are promising. The vast majority of your audience needs to see social proof before they will take any action. 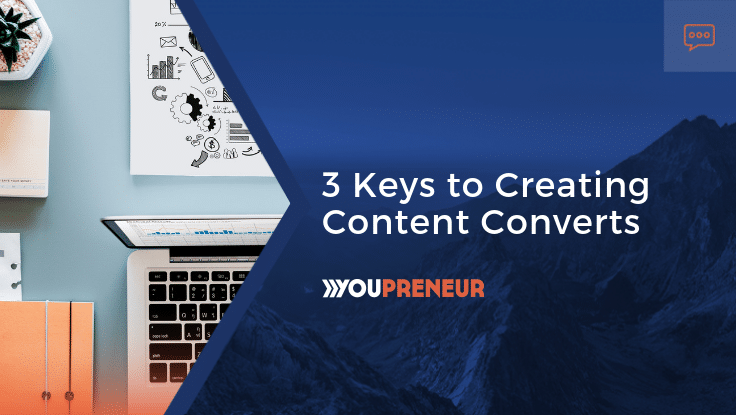 By implementing the 3 keys outlined in this article, you will be well equipped to create epic content that attracts your ideal clients, establishes trust and authority in your industry, and helps to make a positive difference in the lives of others. Tyler Basu is a content marketing and client acquisition strategist for fast-growth startups and entrepreneurs. 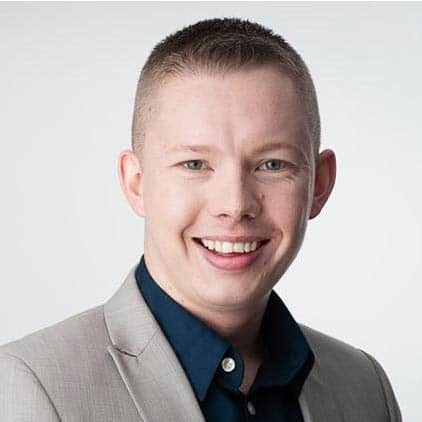 He’s also the Content Marketing Manager for Thinkific, the all-in-one platform for creating and selling online courses. 25 tips to marketing your business more successfully than ever before!